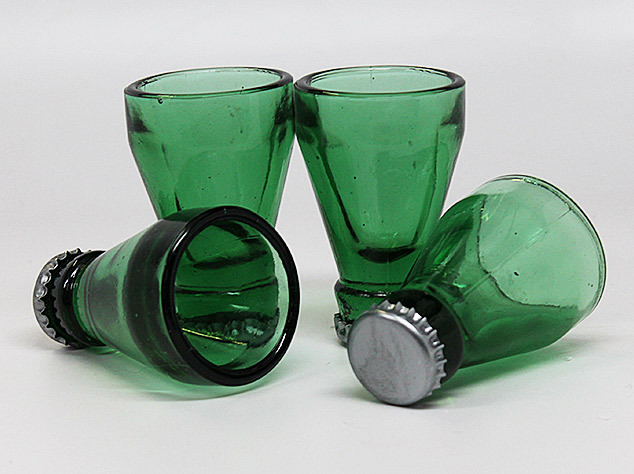 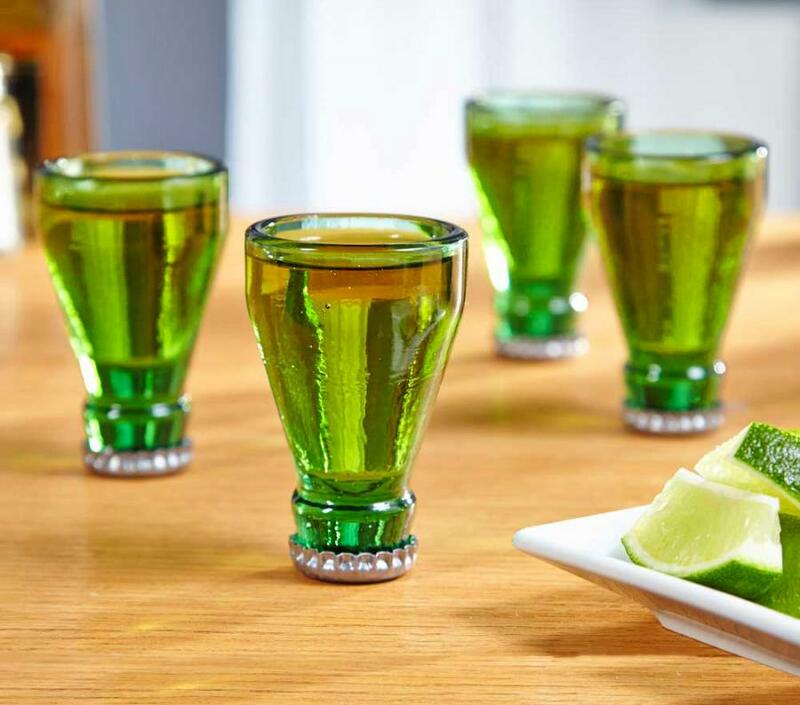 These shot glasses are made to look like the top halves of some beer bottles were lopped off, turned upside down, and turned into shot glasses. 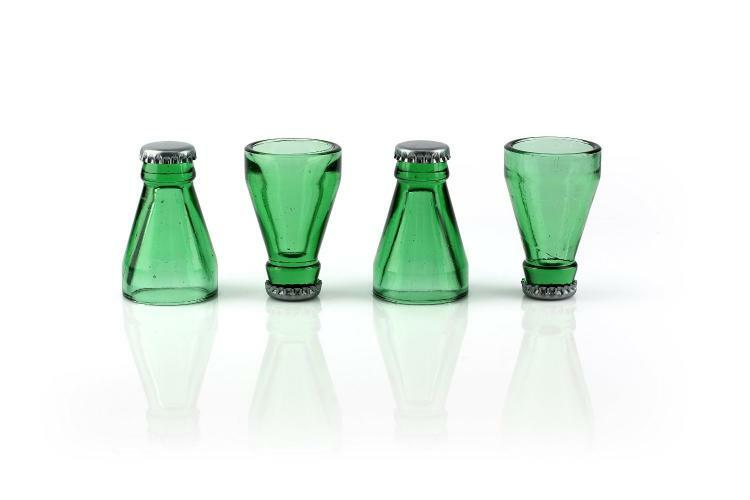 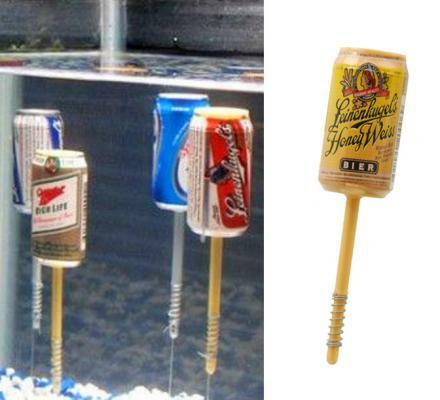 With the caps permanently sealed on, and the glass edges grinded down to they won't cut your lips up when you go to slam a shot of fireball, the bottle top shot glasses are actually made from recycled beer bottles. 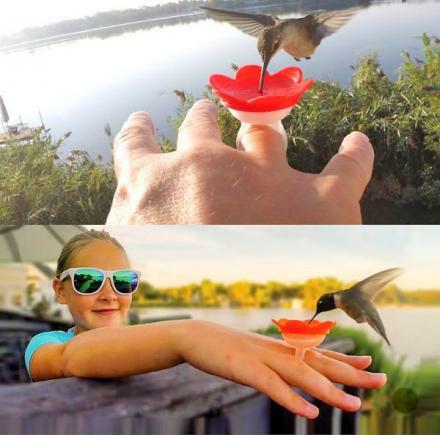 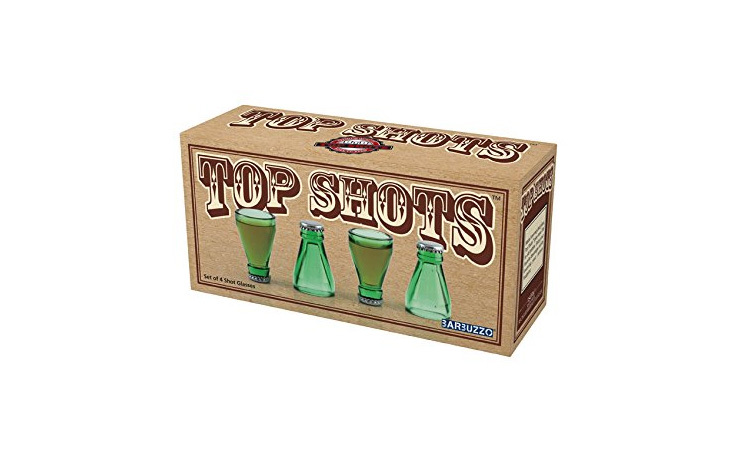 The bottle top shot glasses come in a set of 4, can hold up to 2 oz of liquid each, and makes for a great housewarming gift for any drinker.